“Mind-racing” is a very common problem in our society. Although our outer circumstances are fine, we manage to literally talk ourselves into a state of stress and anxiety. What can we do to escape this spiraling of the constantly wandering or worrying mind. 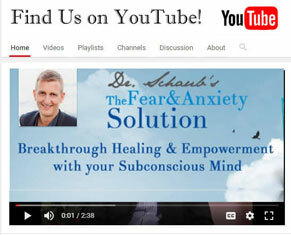 Self-empowerment expert Dr. Friedemann Schaub talks about a very effective tool, which allows you to eliminate mind-racing and negative self-talk within a couple of weeks.